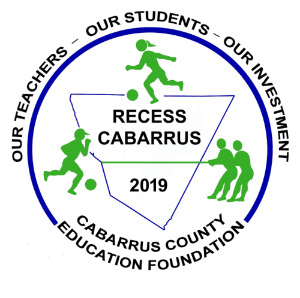 Will you be the 2019 Recess Cabarrus Grand Champion? Remember how fun Recess was? Well, this is your chance to go back and play the games you played at Recess - some with a modern twist! 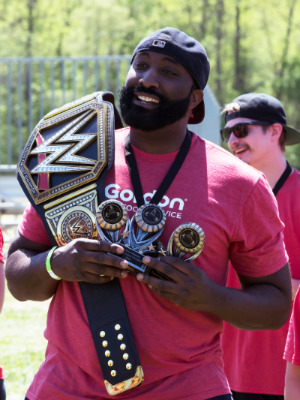 Teams will compete in up to 6 events: kickball, dodge ball, sand volleyball, obstacle course, tug-of-war and pyramid soccer...and at the end of the day, we will see who is crowned the 2019 Recess Cabarrus Grand Champion! Schedule: Events will be going on throughout the day. Events are single elimination brackets except for Obstacle Course which will be run as you have availability. There is no maximum number of team members so that if needed you may have shifts to accommodate people's schedules. Estimated times for all games will be provided prior to Recess Cabarrus; however, the schedule may be adjusted during the day. Teams that have some open time, can play corn hole, horseshoes, miniature golf or hangout in the team's area. Cost: $350. This fee includes event t-shirts for up to 15 people. Obstacle Course 8 players At least 2 females.